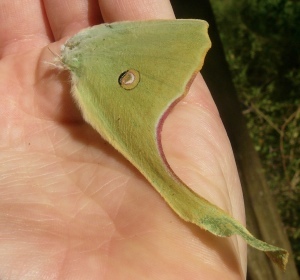 Home » More than just bird food - learn about our local moths! More than just bird food - learn about our local moths! ATHENS – University of Georgia ecology professor John Pickering will share his knowledge about the often-unseen populations of moths in Northeast Georgia at the Oconee Rivers Audubon Society’s next meeting, set for 7 p.m. Thursday, Jan. 3, at Sandy Creek Nature Center. Pickering, an associate professor in UGA’s Odum School of Ecology, will speak on the topic, Join the Dark Side of Life – The Fabulous Diversity of Local Moths. Pickering, whose research interests include biodiversity and fire ecology, is the co-founder of the All Taxa Biodiversity Inventory, a program in the Great Smoky Mountains National Park to count how many how many species live in the mountain environment, what jobs these species do, and how they interact with each other. ATBI is more than just a checklist of species names. It is a complex and living database of species locations, habitats, genetic diversity, population density, symbiotic relationships, and predator-prey interactions.